The new iPhone 4S has some incredible new features. Amongst these would be its ability to provide a weather report or directions to a particular destination. 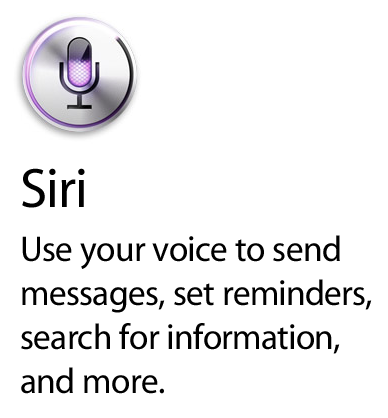 Siri is able to read your text messages to you. Siri can even be asked to remember dates and appointments. Now, another function for Siri has been discovered. Siri can be used to start up your car. An IT professional from New York by the name of Brandon Fiquett was able to create a way in which for Siri to do this. Using a proxy SIRI server, Fiquett created a plug-in that allowed him to use Siri on his iPhone 4S to send commands to his car, which is an Acura TL. The plug-in he created takes Siri commands and passes then on to Fiquett's personal web server. After this, a connection is made to a special module that has been installed in the vehicle. This module is known as a Viper SmartStart module. Through this process, Siri can not only start the car’s engine and stop it, it does even more. The alarm system can be either armed or disarmed. The trunk can be popped using Siri. Additionally, Siri can be used to put the alarm into panic mode. Fiquett’s work was in an effort to prove a concept. However, some hackers have already been using the iPhone 4S’s Siri to target certain vehicles for theft. Some have even taken what Fiquett determined and going through other technological devices found within a car such as media players and GPS systems. Keep in mind only people who are rather technological savvy can do this. Since Siri is relatively new, coming out with the iPhone 4S release in the middle of October, it will be interesting to see what other alternative users people find for their iPhone 4S using Siri. There's a range of new humourous sites that look into the silly things that Siri says, such as Whatsiriissaying.co.uk, so check out these sites to see what Siri's take on your questions is.